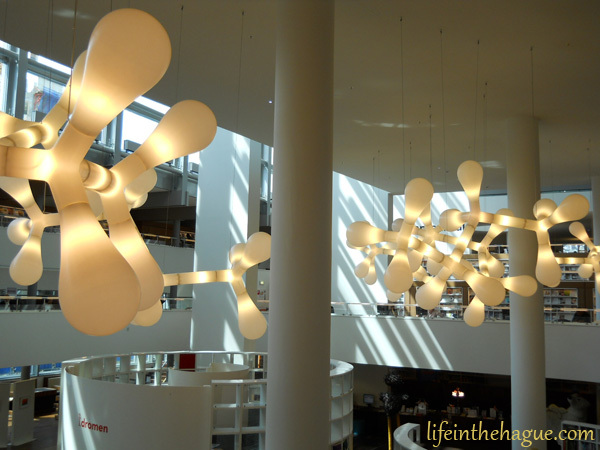 One of the first places I visited in the Netherlands was Openbare Bibliotheek Amsterdam (lit: Public Library Amsterdam), which is a name of all public libraries in Amsterdam. 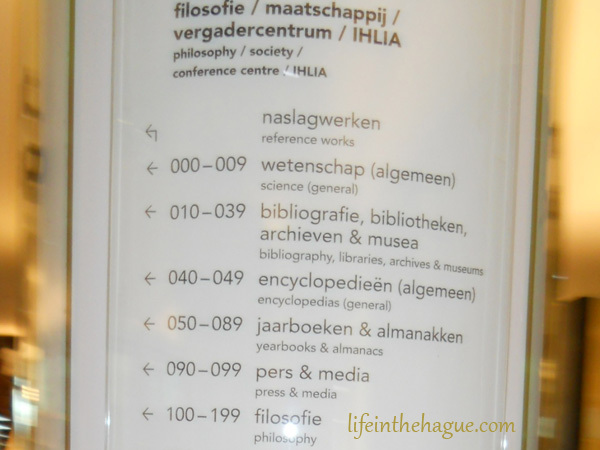 Specifically, I went to Centrale Bibliotheek, or the central library of Amsterdam. With almost 2 million books, it is the largest public library in Europe. Subject areas in Dutch… with helpful English below! My first library job was as a children’s services assistant in a small public library. So I did take special interest in the children’s area. 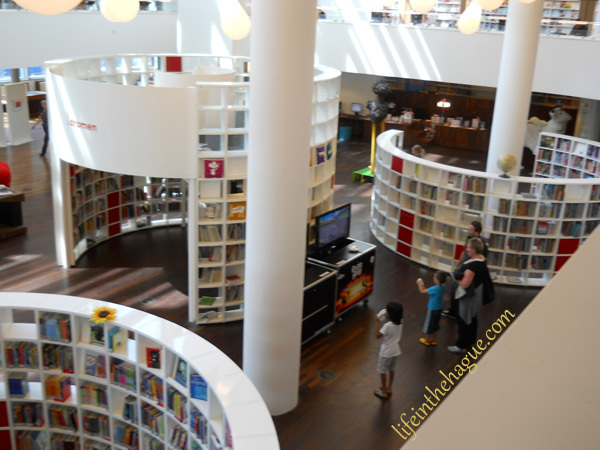 Interestingly, I had already showcased Amsterdam Public Library in a library website I made for my Information Technology class, so I was familiar with the library. But it was cool to see it in person. Before I left, I read one picture book: Tien Kleine Heksjes, or, Ten Little Witches. With help of course. Gaming in the library… Note the Guitar Hero logo, although they are playing a different game.